Breast augmentation is an elective cosmetic surgery, so your procedure will not be covered under your insurance. If you were banking on your insurance being your vehicle to finance breast implants, think again. The expense will fall on you, but it doesn't have to be a burden if you implement smart financial governance. Take these seven financing options, for example. They are all avenues that have been used by women to finance breast surgery. Some are doable, while others could spell financial disaster in the long run. If you're going to finance a breast augmentation, it should make sense and not throw you into a deep financial hole. These common options aren't perfect, but a proper assessment of their pros and cons, along with a thorough forecast of your personal financial outlook, can make them sensible options. Of all the options, this is the best and wisest way to pay for breast augmentation since you will not have to borrow money or worry about paying penalties or interest. Smart tips: If you choose to save for your breast augmentation, make sure you know the full cost of the procedure, including things you didn't think about like post-surgical bras and garments. Save above that amount by several thousand dollars more. In case of emergencies, you don't want your savings drained. When you go in for your breast augmentation consultation, ask your breast implant surgeon whether he offers payment plans. The management of this payment plan may be conducted by a qualified member of his staff, but more likely through a third-party financing company. If your surgeon offers a payment plan directly, you may be able to avoid fees and interest rates and go under a flat monthly installment. If the account is settled with a financing company, they can offer low monthly payment options and even extend your payment options. However, like credit cards, fees and interest rates can be competitive and high—in some cases greater than those associated with a credit card. Smart tip: Make sure your payments are timely to avoid higher interest rates and penalties. You have the option of using either a personal credit card or medical credit card. Both are popular ways to finance a breast augmentation procedure, but they do come with disadvantages. Depending on your interest rate, you could pay more for the surgery than expected. High-interest rate credit cards could have you paying almost double or more by the end, especially if you only make the minimum payment. Placing such a large amount on credit card could also max it out, leaving you no cushion for emergencies. Additionally, if payments are late, you could affect your credit score. Smart tips: If you choose to put your breast augmentation on credit card, try to use one with 0% APR. Unable to get 0% APR? Then get one with the lowest APR, pay on time, and pay more than the monthly minimum requirement. Rewards credit cards are great for storing up points or earning cash back. Banks and credit unions offer unsecured personal loans, which are quick means to finance breast augmentation. Interest rates are fixed but must be paid by the date agreed upon, otherwise, you will incur penalties. Smart tips: This breast augmentation loan option is best for those with strong, healthy credit history as it can bring your interest rate drastically lower than some credit cards, making it a cheaper alternative. If your credit is poor, expect the interest rate to be close to that of a credit card. Also, ensure you have a financial cushion because, in the event of a financial disaster, your loan could be placed in Chapter 7 bankruptcy. Some patients have been able to afford breast augmentation by appealing to family and friends, while others have appealed to internet crawlers through Go Fund Me pages that allow women to crowdfund and fundraise for the surgery. Smart tips: If you're looking to family and friends to support the surgery, understand under what terms. Is this a gift, or are you borrowing? If borrowing, how much do you need to pay back and when? Hold true to your word as bonds can be broken if the lender is not paid on time and in full. If you are crowdfunding or fundraising online, be aware that to be successful you will need to tell your journey (your reason for wanting a breast augmentation), provide pictures, and share your feed on social sites like Facebook and Twitter. This is not ideal for someone who wants their breast augmentation to be private. If you've heard of women pulling from their retirement account or home equity to fund a breast augmentation, it should raise a red flag. And if you've thought of doing it yourself, you should be aware that you could be setting yourself up to lose your financial foothold. Getting a breast augmentation can be quite important--boosting your confidence and quality of life--but it's never wise to risk your future and home. What's the point of having amazing breasts with no home and no retirement in sight? So proceed with extreme caution if you consider these options. 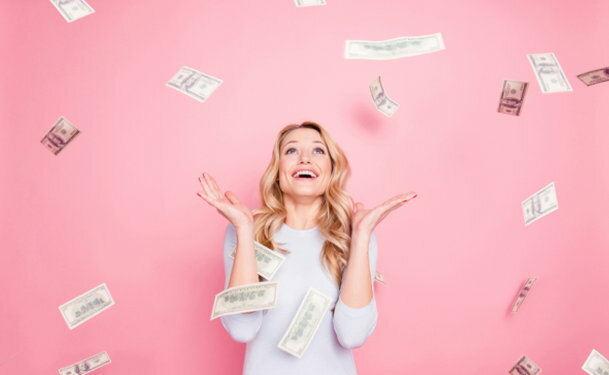 With all the talk about millions of Americans not being financially prepared for future retirement, this type of breast augmentation financing could leave you in ruins in the future. Depending on your 401(k) account, you may be able to borrow up to 50 percent of the balance you've vested, but no more than $50,000. Payments are drawn from your paycheck over the course of five years, or fewer depending on the loan amount. Smart tips: Make this breast augmentation finance option your last. While borrowing from your retirement is quick, easy and often presents with a low-interest rate, taxing is hefty. You could wind up being taxed on your money twice. Also, if contributions are halted until repayment is full, you'll end up missing out on asset growth. Moreover, if you leave or lose your job, you'll have two months to pay your loan off or claim it as a distribution. The latter will mean additional penalties and taxes. Known also as a home equity line of credit (HELOC), home equity loans pull equity from your home and convert it into usable cash. Your interest rate will be based on your current mortgage rate and your interest may be tax deductible. Smart tips: Like borrowing from your retirement, this option could be disastrous. If you use up the equity in your house, you will have to start the purchase of your home again. Should the housing market have a downturn, you may find you have negative equity. If you are forced to sell, you could find yourself in Chapter 7 bankruptcy. Now that you know your breast augmentation financing options, you need to know about breast augmentation cost so you'll have an idea of how much you might need to save or borrow. For this reason, the cost of your breast augmentation could range anywhere between $5,000 and $10,000. Breast augmentation financing: do the math! To help you better determine what your monthly payments would be if you chose a loan or credit card, we hunted down this nifty breast augmentation financing calculator. Simply select your procedure and ballpark price, then the length of your loan and rate. Lastly, enter your expected deposit amount. Viola! After a few short seconds, the calculator will generate an approximate monthly payment. Want to learn more about breast augmentation cost or financing options? We know that breast augmentation cost and financing is a big hurdle for women looking to get breast implants. It was exactly that for some JBI women, but somehow they pulled the funds together to make the procedure happen. Go to our breast augmentation forum to hear how they did it, and pose any questions or concerns of your own. Use the tips but don't rely on them to conclude whether you can finance a breast augmentation. Investigate your individual finance options thoroughly to understand the financial commitments and potential ramifications you'll be responsible for after the surgery.